Seems like Mercedes isn't relenting on its luxury dreams and goals, with the proposal of different concept cars and production of luxurious vehicles. 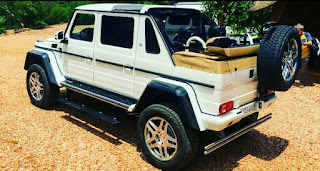 Trending now is the new ultra-luxurious Maybach G650 G-Wagon that only 99 people in the world can buy. It's also called the G650 Landaulet and has a stupendous amount of space in the interior to look like a limousine. 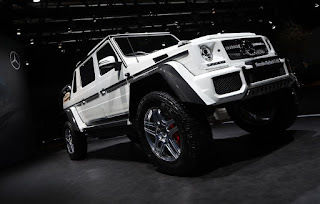 This is the first off-roader SUV to be added to the Maybach line of Mercedes-Benz. 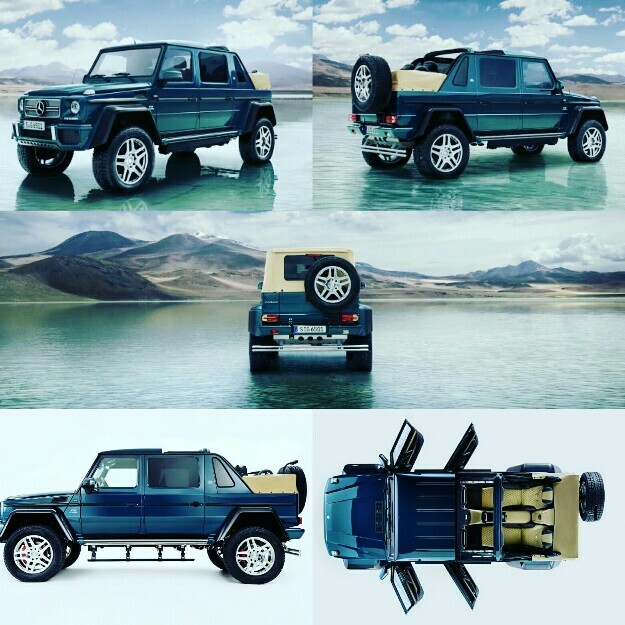 With 2 feet of ground clearance, an inspiring, fun and comfortable interior and a bold superior outlook, the Landaulet stands out from other luxury SUVs. The Landaulet borrows concept from the older generation limousine sedan Landaulet made by Mercedes but in this case, we have an off-road SUV. 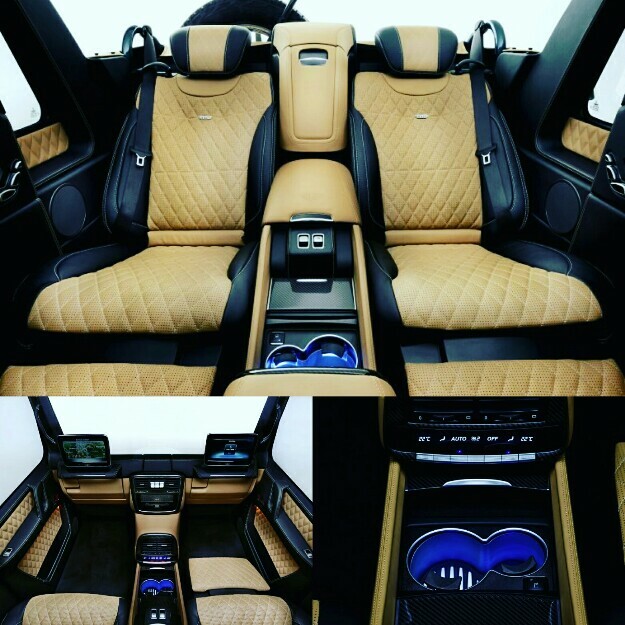 The striking feature of the Landaulet is the compartment with a folding roof at the rear of the vehicle, having an entertainment system and a king-size seat perfect for the business mogul. Passengers riding in the front sit under a conventional closed roof, but people in the back are under a folding roof that can open for a look at the sky. There's also a glass partition separating passengers in the rear. More features include cupholders with refrigerators and thermal heaters to keep drinks cool or hot at a set temperature. It also includes a foot rest. Rocking a V12 bi-turbo engine giving off a massive 630hp and 738 ft of torque, nothing stops it from still maintaining its luxury limousine-styled interior and off-road capabilities. An official price for the vehicle has not been stated but experts predict a price slot of about $300, 000.